Dr. Daniel P. Schrage is eminent Professor and Director of CERT and CASA, Georgia Institute of Technology. He studied B.S., General Engineering, 1967, USMA, West Point, NY; M.S., Aerospace Engineering, 1974, Georgia Institute of Technology; M.A., Business Administration , 1975, Webster U. (St. Louis, MO); D.Sc., Mechanical Engr., 1978, Washington U. (St. Louis, MO). 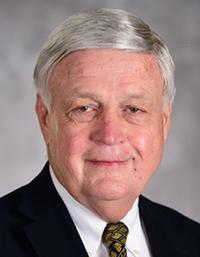 Dr. Schrage became a professor of Aerospace Engineering and Rotorcraft Design Professor at Georgia Tech in 1984 and the Director of the Center of Excellence in Rotorcraft Technology (CERT) in 1986. Dr. Schrage initiated the School of AE graduate program in Aerospace Systems Design in the early 1990s and started the Aerospace Systems Design Laboratory (ASDL) in 1992. In 1997 Dr. Schrage became the Director of the Center for Aerospace Systems Engineering (CASE) to oversee ASDL and the new formed Space Systems Design Laboratory (SSDL). In 2007, Dr. Schrage established the Integrated Product Lifecycle Engineering (IPLE) Laboratory. Dr. Schrage has extensive expertise in the design and development of complex systems. Prior to coming to Georgia Tech in 1984, Dr. Schrage served as an aviator, engineer, manager and senior executive servant with the U.S. Army Aviation Systems Command (AVSCOM) for ten years. As a dynamics, vibrations and aeroelasticity engineer he served as the Army's expert in these areas during the design and development of all the Army's major aviation systems, the UH-60 Black Hawk, the AH-64 Apache, the CH-47D Chinook, and the OH-58D Kiowa Warrior, as well as major upgrades to Army Aviation fixed wing aircraft, such as the RU-21D, and OV-1D Mohawk. In addition, he served as the dynamics evaluator and technical area chief on Army Aviation major Source Selection Evaluation Boards (SSEBs), that led to the development of these systems. As the Chief of the Structures and Aeromechanics Division, Dr. Schrage oversaw the airworthiness qualification efforts for all new and upgraded Army aviation systems and provided engineering support to the program managers on these systems. As the Director for Advanced Systems, Dr. Schrage oversaw the Command's Science and Technology program, a joint program with NASA, and led the concept development of new systems, such as the LHX, which led to the development of the RAH-66 Comanche. Dr. Schrage also served on a temporary assignment as the Chief Scientist for the Army's Combined Arms Center (CAC) and was an active duty Army aviator and commander and Field Artillery battery commander with combat experience in Southeast Asia. Dr. Schrage is the author or co-author of several book chapters and more than more than 200 technical publications in the fields of dynamics and aeroelasticity, flight mechanics and controls, aerospace systems design, and Integrated Product and Process Development. He is both a AHS and an AIAA Fellow, and a member of the American Society of Engineering Educators. Dr. Schrage was selected as AHS Technical Fellow in 1998. He won the AHS prestigious Alexander A. Nikolsky Honorary Lectureship award in 1999 and the Lecture was Technology for Rotorcraft Affordability Through Integrated Product/Process Development (IPPD). Lab/Collaborations: Vertical Lift Research Center of Excellence (VLRCOE); Aerospace Systems Design; Laboratory (ASDL); Space Systems Design Lab (SSDL); Institute for Materials. He worked in Flight Mechanics & Controls; and Systems Design & Optimization disciplines.